GD Design Studio offers the top notch SEO, SMM and Paid Search Marketing that you need to succeed. If you want the phone to ring, to get more leads, and/or to have more visibility on the internet...we've got the program for you. Thanks to our partnership with ibi Marketing, our team members have experience managing fortune 500 as well as startup companies. We accomplish our client's goals by using assertive proprietary tactics, 20+ years of marketing experience, and maintaining high ethical standards. 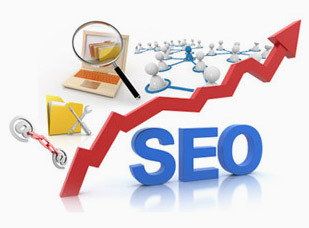 Get your website to show up on top of the major search engines for the right keywords. Paid Search Marketing: Increase sales and generate more leads through pay per click marketing. Search engine placement services include competitor analysis, key phrase development, conversion tracking, and more. Social Media Marketing: Significantly increase targeted traffic to your website through social media marketing services. Each campaign is tested and proven to yield highly targeted traffic and may also boost your search engine placement. Contact Us today and let's discuss the possibilities. In case you didn't know, GD Design Studio focuses a large part of its design and marketing efforts on the construction industry. We're talking to you developers, contractors, architects, builders.....don't be shy, give us a call! We're the only design and marketing company in South Florida that specializes in your industry, and we'd love to help you grow. Call Us for more information and to learn how to improve and grow your business. By joining forces with GD Design Studio, Lebolo Construction Management has taken the first step towards improving their brand and building their business to even greater heights. 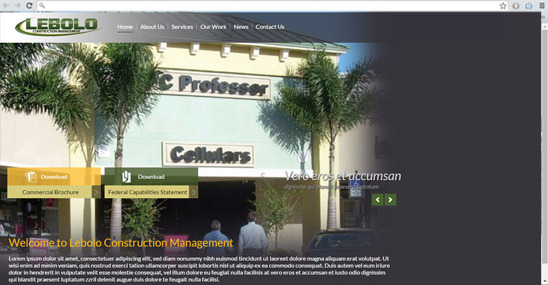 Via a powerful and all-encompassing marketing and design campaign, from web design to digital brochures, Lebolo Construction Management is taking the future by storm!